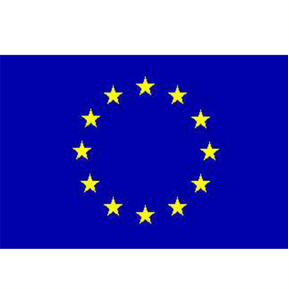 DIM stands for “Domestic Implementation Measure” and comes under the scope of the European Framework Directive ErP 2009/125 that aims to cut 20% off 2020 EU carbon emissions compared to those in 2005. DIM I “the bulb ban” became effective in September 2009 starting with 100w pearl finish household lightbulbs working its way through the range finally removing lightbulbs 15w or greater in September 2012. The second phase TIM “tertiary illumination” replaced halophosphate fluorescent tubes with triphosphor colour 80 series fluorescent tubes. Mercury lamps where also included and standard High Pressure Sodium SON was superseded by SON Plus, or SON HO. DIM II is the third part of the EU phase out of energy inefficient light sources and comes into effect in September 2013. DIM II focuses on directional light sources commonly known as reflector spotlights as well as Light Emitting Diodes or LED light sources. Which lamps will be affected? 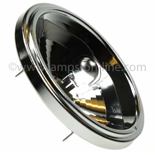 Incandescent reflector lamps or household spotlights 100w and above will be removed from sales from September 1st 2013. This only affects two lamps the 100w R80 spotlight and the 100w R95 Spotlight. There will be however heavy casualties in the incandescent spotlight range of lightbulbs from September 2014 when all reflector spotlights from 25w to 75w will be removed from sale. These save 30% on an electricity bill compared to standard household spotlights and last 2000 hours, twice as long as a household spotlight. They are fully dimmable and the same size as a household spotlight bulb. They are also the cheapest energy saving alternative. Click here to see our range of low energy halogen spotlights. These lamps will save 80% on an electricity bill and last 10 times the life when compared to a regular household reflector spotlight lamp. There are some dimmable types available but most manufacturers are not developing more energy saving compact fluorescent reflector bulbs as they are focusing on developing LED reflector spotlights that are already as good as compact fluorescent lightbulbs. Click here to see our range of energy saving compact reflector lamps. The latest generation LED’s now provide a performance comparable to the incandescent spotlights that they replace. LED reflector bulbs offer an 85% saving on electricity and last 25,000 hours which is 25 times greater than a household reflector spotlight. Click here to see our range of LED reflector spotlight lamps. be affected are AR111 in 75w and 100w; these will no longer be available after 1st September 2013. What can be used instead? Philips Master LEDSPOT LV AR111 in 15w is a direct equivalent to an AR111 Halospot 100w reflector lamp, as well as the Megaman LD AR111 in 15w that also offers a comparable performance to the Halospot AR111 100w reflector lamp. Philips Master LEDSPOT LV AR111 in 15w is a direct equivalent to an AR111 Halospot 100w reflector lamp, as well as the Megaman LED AR111 in 15w that also offers a comparable performance to the Halospot AR111 100w reflector lamp. It is surprising that new technology has been included in DIM II. There are many different types of retrofit LED on the market, the most popular by far being the GU10 lamp (approximately 75% of retrofit LED sales are GU10 replacements). Many manufacturers claim that their product has reached the 50w equivalent mark of 350 lumens (lumens is the unit of measurement of light output from a bulb, as a guide a regular 60w pearl household light bulb gives 550 lumens). At General Lamps we are given a sample of pretty much each and every GU10 LED equivalent, and are well aware that many do not give 350 lumens although they claim to be a 50w GU10 halogen equivalent. The issue is in controlling the light that is emitted. With a traditional Halogen GU10 the visible light is a combination of direct light and light that has been reflected from the mirrored reflector. This can produce a tight beam angle and is ideal for spotlighting objects. With LED it’s not as easy to control the beam by use of a reflector. Lightbulbs that have multiple LED’s are usually mounted on the face of the bulb and disperse light in all directions. So when you look at an LED GU10 it is often clearly not as bright as the halogen lamp it is replacing, the lamp does emit the same amount of light as a 50w halogen but the light is dispersed over a greater area meaning that the light in the area that is required is much duller than the lamp it is replacing. The new regulation now looks at what we term “useful light” and measures light in a 90 degree cone. If light within the 90 degreecone is equal to or greater than 350 Lumens only then can it be classified as a 50w Halogen equivalent. 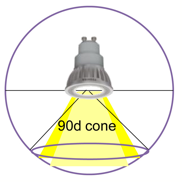 All light falling outside the 90-degree cone is not considered when rating the light bulb, as it is not “useful” light. DIM has been necessary to remove established light sources that are now nearly 100 years old from the market. Lamp manufacturers had continued to make inefficient filament lightbulbs even though there are more efficient options on the market. Because of this DIM was introduced to “force” their hand. DIM I was draconian and paid little or no attention to lightbulbs that fell into the scope of the ban but didn’t have a realistic alternative to offer. There is a “special lamps” category but the lines of demarcation are not clear. DIM II is certainly less draconian and focuses on a smaller product range so can therefore be more specific as to what it wants to achieve. 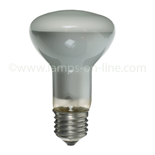 Lamps-on-line.com agree with mostly all of what it covers especially the performance of LED GU10 lightbulbs. Lamps-on-line.com have come across many claims from suppliers that their lamp is 50w halogen GU10 equivalent but when lit it is quite clear that it doesn’t in anyway achieve this. Where it will be difficult is in its implementation, the “big four” Philips, GE, Havells - Sylvania and Osram will certainly comply but there are many suppliers importing lightbulbs from China making unqualified claims, its is how these suppliers are policed that the challenge lies. The National measurement Office have taken charge of this but they will not have the right skill set or expertise to ensure all importers comply to DIM II, so whilst we agree with most of the theory little thought has been given to how it will be implemented successfully which can potentially give the unrecognised brands a big advantage over the known manufacturers as they will not be subject to the cost of complying. The second issue with DIM II is the packaging requirements. 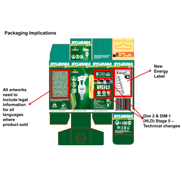 We haven’t covered packaging in this blog but the new requirements require an energy label, legal information in all languages that the product is sold in, wattage, light output, beam angle, the list goes on! Certainly for a consumer and probably for a professional user there is far too much information on a box, this will mean that the user will not read anything from the box as it will simply appear as “wallpaper”. It would be far more effective to simply label the box with the most important points that the regulation would like the manufacturer to show and leave it at that.